On occasion, I am asked to feature a new book by another author, and this is one of those occasions. 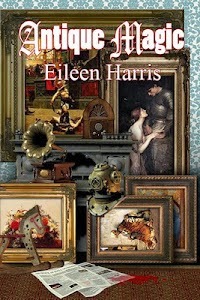 The book is titled Antique Magic, and I think you will find it to be a fun, fascinating read. Antique dealer Alicia Trent is hired to appraise a huge collection of treasures hoarded by a woman who has recently died in the town where Alicia grew up. The huge old house poses mystery after mystery from the moment she arrives, but the stakes become deadly when murder is added to the mix. The question then becomes, can she stay alive long enough to unmask the killer?